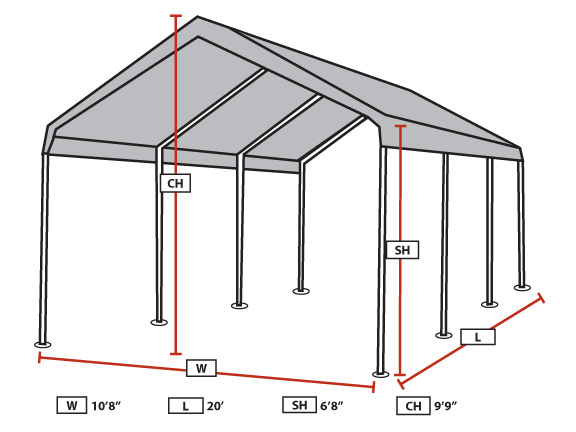 Many people expecting a one-trick pony in terms of their outdoor shelter don't anticipate a product like this King Canopy 10 x 20 Universal Canopy Shelter in Silver. Multiple functions, easy assembly, and overall affordability make this a really popular choice and a sensible one for many applications. Read below to find out where those two factors meet in terms of presenting a convenient, cost-effective package for many shoppers. 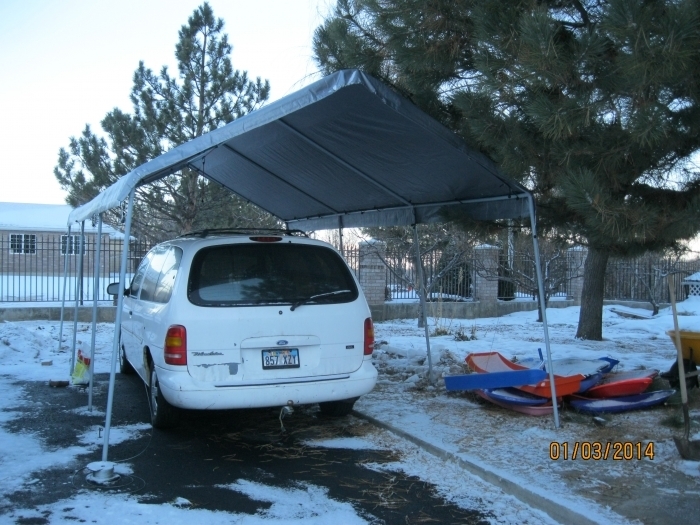 First of all, you're looking at a 10 x 20 shelter that is effective either for housing an automobile or recreational vehicle, or for putting a picnic table underneath at a party or tailgate. The gray powder-coated frame offers tons of support and moisture and rust-resistance, and the 8-leg design provides lots of points of contact with the ground to create maximum stability. The waterproof polyethylene cover will also give you or your vehicles plenty of protection. It keeps out the rain and debris that can spoil a car's finish or the whole point of having a picnic. 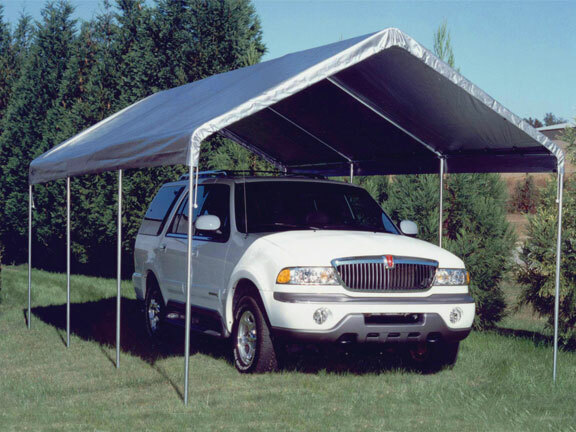 The overhang of the 8-inch sidewalls that are part of the canopy top offer added wind and rain resistance, plus no tools are needed for assembly. So versatility of function is really the name of the game here. That, along with getting everything you need for less. For those of you looking for a lot of shelter for way less money than you'd expect, the King Canopy 10 x 20 Universal Canopy Shelter in Silver may be the perfect choice. How thick are the pipe walls of the frame for this item and the KMK1PCS? The legs on both of these are 1 3/8" in diameter. Can I buy a replacement silver cover for this King Canopy? Yes, please see the King Canopy 10' x 20' Canopy Silver Drawstring Cover - TDS1020S. What is the height from ground to bottom of the valence that hangs down? From the ground to the bottom edges of the valence is approximately 6 feet 4 inches on this model. 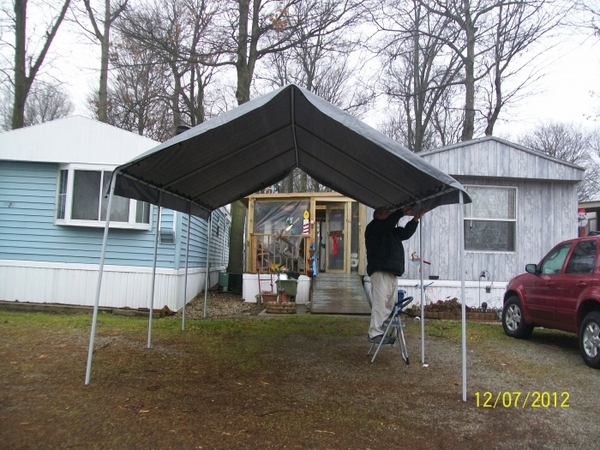 Very durable item that provides excellent shelter for my truck and lawn machinery. By welding large nuts onto 3/8" stakes, I laced and looped a 1/8" Home Depot cable through the nut, starting from the top canopy corner, down to the center point between the first two legs, repeating the process around the canopy, ending at the last top corner. 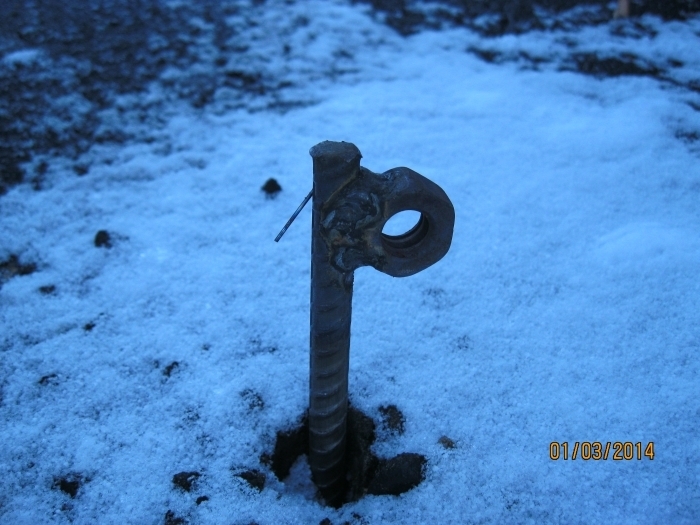 After driving the stakes down tightly at each center point the cables tightened and made a secure structure that has withstood our last 3 snow and wind storms. 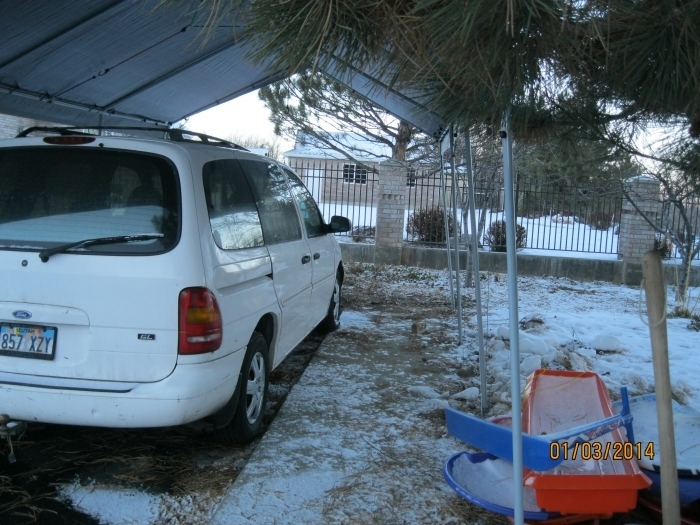 I will wrap the canopy in roofing sheet metal to make additional motorcycle storage for my grandson, then disassemble and to take the canopy to Tarawa, Gilbert Islands to cover my new portable Coconut Tilt Saw. ProsSturdy and strong construction, light weight, and quick assembly. ConsI tried assembly on the ice, slipped and broke 7 ribs! Don't work alone! After 4 weeks recovery, I can now comb my own hair. Now we do not have to keep it snow and ice free causer of this cover. ProsKeeps the rain and snow off our ramp It was easy to put up even in the rain. lol After we got it put together we had to scoot it back into place. Not a hard job for 2 older people. Great service good product and the delivery time was only 3 day's. Very pleased with every thing about this order but this review process.